The Sussex Carpet Centre is a brand new family run business in the heart of the town that caters for both residential and commercial premise. The Sussex Carpet Centre is a trusted supplier of quality carpets in Crawley for customers in the local Sussex and Surrey area. We source the finest products from leading brand manufacturers and our carpet range includes products for domestic and commercial properties at today’s most competitive independent prices. Our laminate flooring in Crawley provides a high-class finish at a great value price. Laminates recreate the appearance of traditional solid wood flooring and install easily within any domestic or commercial environment. Perfect for high traffic areas, our laminate requires minimum maintenance and is simple to clean. At the Sussex Carpet Centre, our engineered flooring in Crawley gives properties a traditional, top-of-the-range finish at a competitive, affordable price. All of our engineered flooring is manufactured from solid wood sourced from sustainable forestry. This ensures we always deliver first-class solutions without affecting the environment. Unlike traditional linoleum, our vinyl flooring in Crawley provides a durable, resilient and hardwearing surface that’s perfect for use in kitchens, bathrooms and businesses. We have an extensive selection of styles, colours and patterns available that integrate perfectly within any room space. Our vinyl flooring is easy to install and just as easy to clean. If you love the appeal of laminate or wooden flooring but can’t resist that soft underfoot feeling, why not enhance your room space with one of our rugs in Crawley. 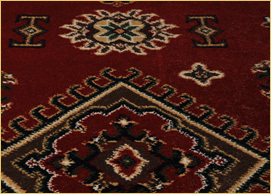 We stock a delightful range of rugs for use in living rooms, bedrooms or anywhere else that your imagination allows. 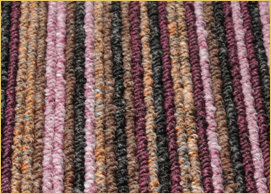 The Sussex Carpet Centre also stocks rugs suitable for children’s bedrooms. At the Sussex Carpet Centre, our customers have access to a complete range of flooring services in Crawley that begin the moment you walk through the doors of our fully stocked showroom.